Are we all happy it's finally Friday? I am fiercely convinced that to compensate the fact that January is the most miserable month of the year, the week end should consist of three full days instead of two, we really need more time to recharge the batteries. Tonight I want to talk you about one of the newest placed opened in Manchester, so far the most exciting! Are you ready to escape a prison? Can you challenge an ancient Mummy? Would you risk being slaughtered? I have got the place for you. 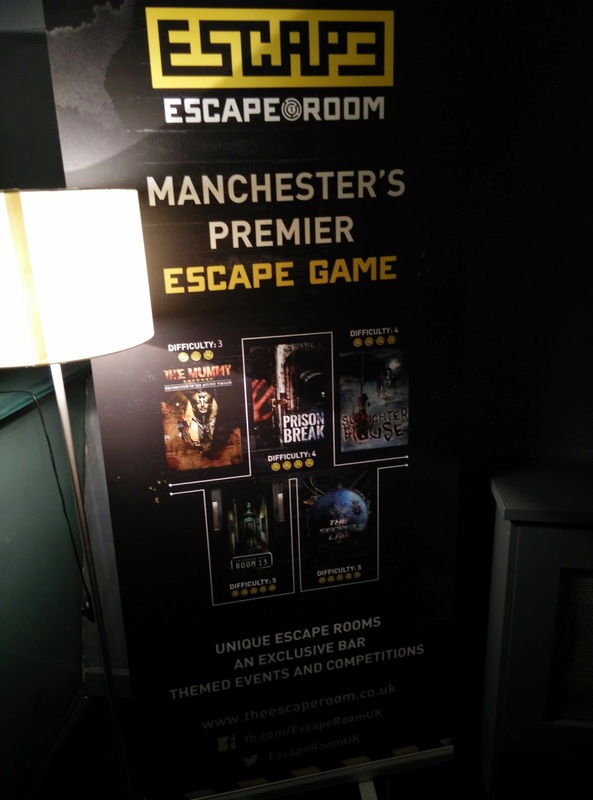 In the heart of Manchester city centre, just off Harvey Nichols, you will find The Escape Room. 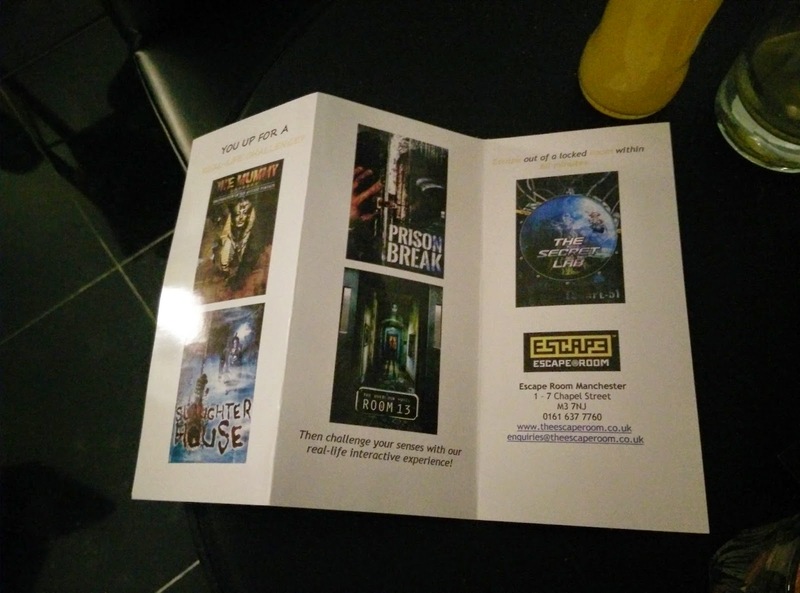 Basically inside the enormous and newly refurbished venue, there are five themed rooms: Prison Break, the Mummy, Room 13, The Secret Lab, Slaughter House. You and your friends will be locked inside the chosen room: only by solving the given hints and clues, one that leads to the other, the door will finally open, all this in 60 minutes. If you don't do in 60 minutes you will be buried alive in the back garden. I am joking, people, calm down. This concept of "game rooms" started in Malesya and yuppi, we have got one in Manchester now! I was invited to have a good look around and let me tell you, I came back home absolutely entusiastic about it. Me and my Irena went there and we were welcomed by some drinks and chats with the super friendly staff members and the owner. There is a kind of relaxing area with a bar, tables and places to sit to enjoy a drink before or afterwards the "room experience", that I fond extremely confortable and cosy, with beautiful chandeliers and a nice balcony that I believe will be well worthy a visit in summer! We were then introduced to our team mates, the lovely Melissa and her boyfriend Sam and we were then escourted to our crazy destination: The Mummy. Now, I don't wanna ruin the surprise in any way or drop any spoiler but...WWOOOOOWWWW. We laughed, we talked, we swore a little bit, but at the end WE MANAGE TO ESCAPE! It took us 45 minutes, not bad at all, to solve all the mysteries. Seriously people, you really need to go and have a look by yourself. 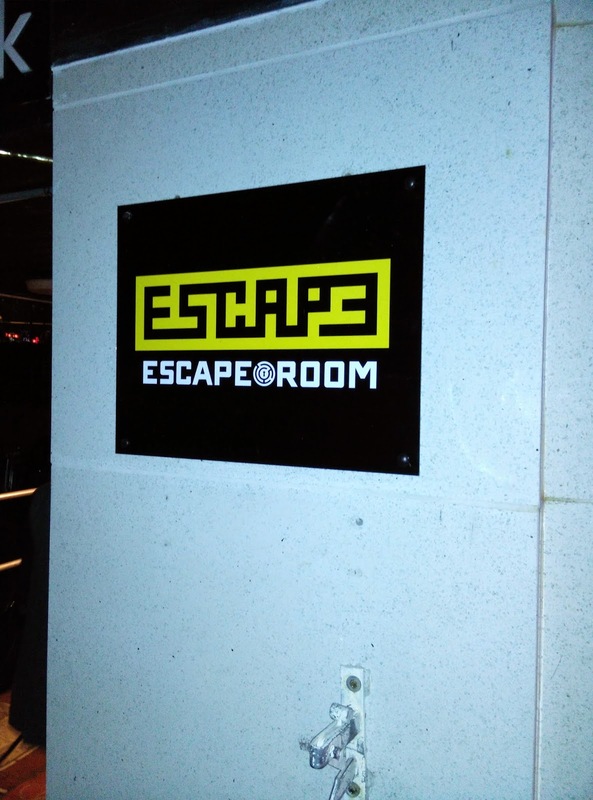 I am planning to try the other rooms and to go with my friend in a kind of "who escape first" battle, I maybe going for my birthday actually, it would be a very different kind of party right? Here is the link for the website, where you can find more informations and you can book aswell. 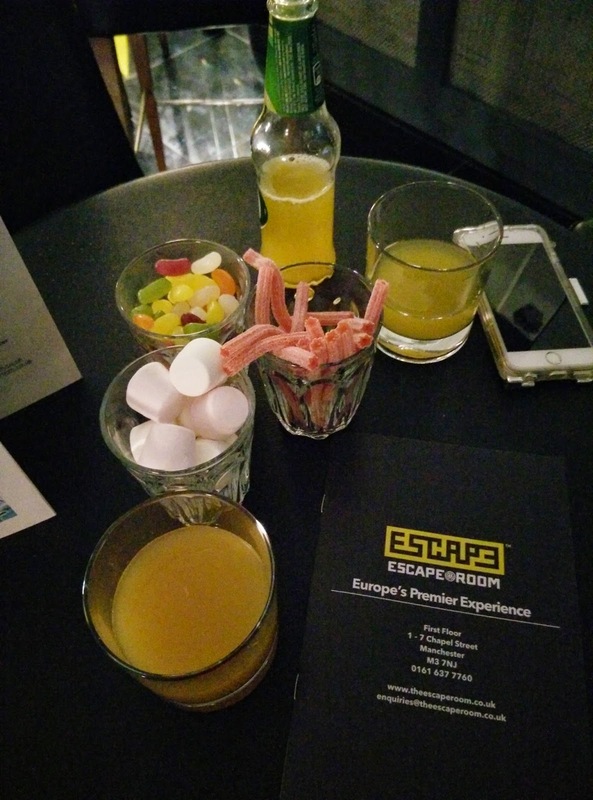 I would recommend you to follow the Escape Room on twitter and on facebook to know about events and competitions. Well done guys for bringing something so different and entertaining in Manchester and thank you to Ledigo PR for another amazing event! I will talk to you all very soon, byeee. 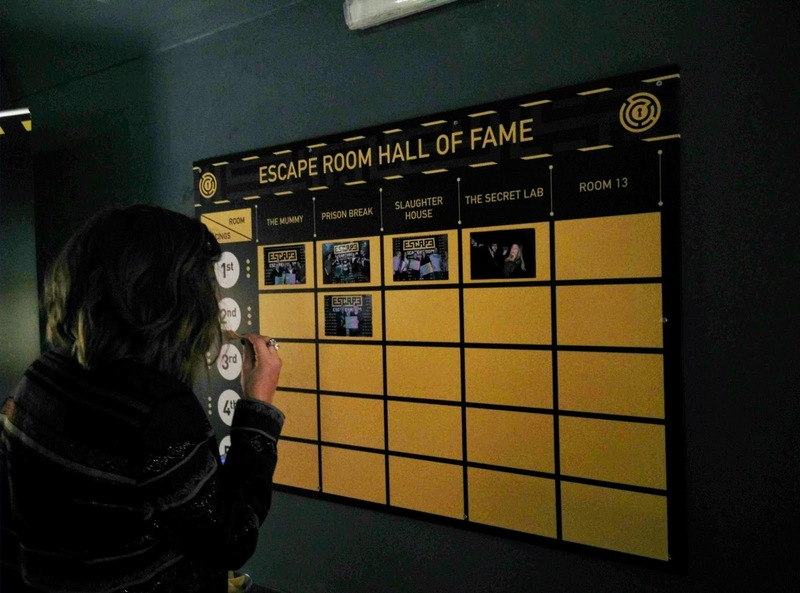 LOST SG is a 75mins top-rated Escape Room provider in Singapore that offers the next generation escape game experience. Come get your minds blown.